December’s always a thin time of the year for new titles – publishers have long since assembled their choicest wares for the Christmas trade – but there’s usually something worth looking out for. This year three very disparate novels have snagged my attention. 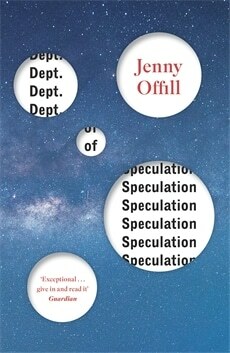 The first comes from an Australian publisher, Text Publishing, who seem to have an eye for a decent debut. Jennifer Down’s Our Magic Hour is set in Melbourne where Audrey and Kate have spent a decade as bosom buddies. When Kate leaves, Audrey is thrown off-kilter as her family threatens to fall apart. 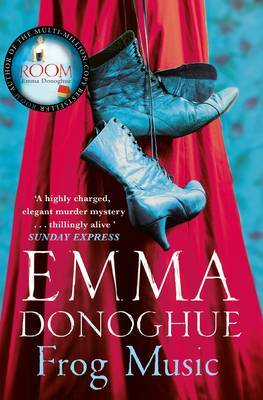 ‘Evocative and exquisitely written, Our Magic Hour is a story of love, loss and discovery. Jennifer Down’s remarkable debut novel captures that moment when being young and invincible gives way to being open and vulnerable, when one terrible act changes a life forever’ say the publishers. Steinunn Sigurðardóttir’s The Good Lover sees a philandering man hankering after a woman he met in his youth. Karl Ástuson decides to track down Una, his first and only love, who left him with no explanation after only a few months. The prospect of happiness may be in his sights but unfortunately for Karl, a spurned ex has decided to make his exploits the focus of her new novel. Sigurðardóttir’s book is ‘an intriguing, unusual and beautiful novel about the messiness of love that will stay with the reader for a long time’ according to the publishers and it’s certainly an interesting premise. 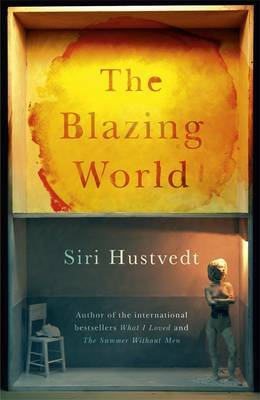 This last choice is a little outside my usual literary purview but it’s prompted by its protagonist, Margaret Cavendish, who popped up in Siri Hustvedt’s The Blazing World, the title of which she borrowed from her subject. A 17th-century duchess, Margaret, was a thoroughly accomplished woman, the first to be invited to speak at the Royal Society and the last for two hundred years. Danielle Dutton’s Margaret the First tells her story in what Jenny Offil has called ‘A strikingly smart and daringly feminist novel with modern insights into love, marriage and the siren call of ambition’. Sounds unmissable to me. This entry was posted in Random thoughts, Reviews and tagged Books published in December 2016, Danielle Dutton, Jennifer Down, Margaret the First, Our Magic Hour, Philip Roughton, Siri Hustvedt, Steinunn Sigurðardóttir, The Blazing World, The Good Lover on 21 November 2016 by Susan Osborne. Elizabeth Hay’s Late Nights on Air ranks alongside Siri Hustvedt’s What I Loved as one of the finest contemporary novels I’ve read. Notable for its beautiful descriptions of the natural world, Hay’s novel shows a similar perception in its portrayal of relationships as Hustvedt’s. It’s one of those novels I pressed into the hands of friends and family after I read it. Unsurprisingly, then, I was eagerly anticipating His Whole Life, which turned out to be an equally nuanced coming-of-age novel set against the backdrop of the 1995 referendum on the separation of Quebec from Canada and its aftermath. Jim is ten years old when the novel opens as he, his Canadian mother and his American father make their way from New York City to Canada where his uncle and aunt have a lakeside house. For Jim it’s an welcoming place: he’s reunited with Duke, the ancient dog he adores and escapes the opprobrium that follows him around the school playground. For Nan, his sharp-tongued mother, it’s an annual homecoming making years of living in a marriage which is all but coming apart bearable. For George, it feels like a prison, uncomfortable and unsettling. When her brother and sister-in-law are killed in a car crash nine months later, Nan decides to go back to the lake telling George that she will stay until Duke dies having one lost dog on her conscience already, and takes Jim with her. Shortly after they’ve settled in a piratical figure arrives, reminding Jim of his beloved Treasure Island. Lulu is Nan’s dearest childhood friend, unseen for years and now in the midst of the latest in a seemingly endless series of spats with her brother who runs the family farm. An idyllic summer begins for Jim in which he has the company of not one but two dogs and the devoted attention of two women who endlessly chew the fat about everything, from Lulu’s disinheritance to the question of Québécois independence. Hay’s novel follows Jim and his mother over seven difficult years as the bond between them deepens. ‘What’s the worst thing you’ve ever done?’ asks ten-year-old Jim from the back seat of the family car. This is the question that will recur throughout Hay’s richly complex and intimate portrait of an extended family, each time revealing more about its characters. It’s a novel deeply conscious of the past and the far-reaching consequences of our actions, nostalgic almost elegiac in tone with the possibility of forgiveness and reconciliation at its heart. Hay has a beautifully honed turn of phrase: ‘Nan has once told Jim how restful it was to be immersed in a past that was over’; Nan thinks of her young son ‘What a moody stripling he was, Christopher Robin as Job’; Lulu and her brother are ‘always fighting leftover fights’. Jim is a memorable character, too mature for his years as the children of troubled marriages so often are, used to overhearing too many adult conversations. If I have a criticism it is that the splits within the family were a little too neatly mirrored by the political divide between the two sides of the referendum question but Canadian readers may beg to differ. 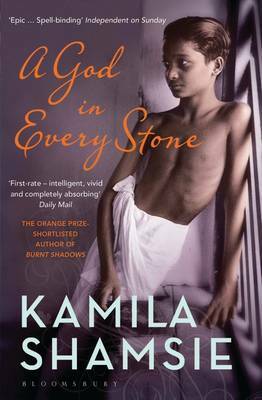 Altogether a thoroughly absorbing and thought-provoking novel, beautifully expressed. I have hopes that it will snag the Baileys Prize judges’ attention. This entry was posted in Reviews and tagged 1995 Quebec Referendum, Canadian Fiction, Elizabeth Hay, His Whole Life, Late Nights on Air, Maclehose Press, Siri Hustvedt on 4 March 2016 by Susan Osborne.